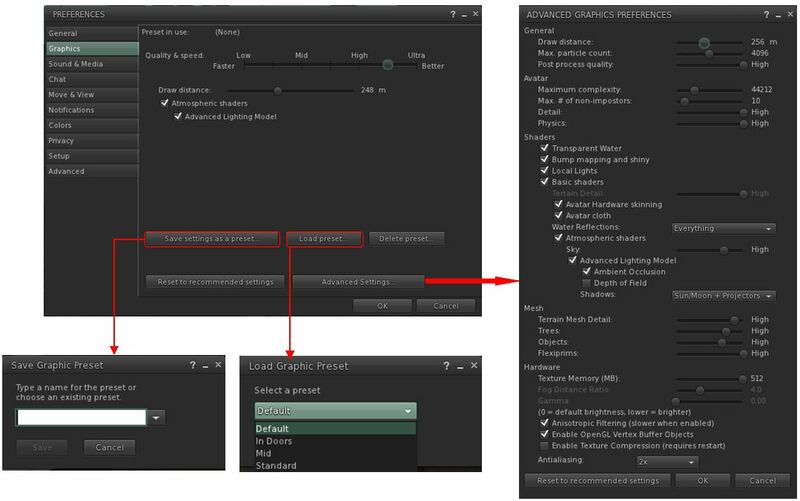 Quick Graphics project viewer version 3.8.4.304433, release on August 21st – provides the new Avatar complexity options to assist with viewer performance when rendering avatars in busy locations, and the new graphics preset capabilities for setting, saving and restoring graphic settings for use in difference environments / circumstances (download and release notes). Alchemy updated to version 3.8.2.36473 on August 20th – core updates: OpenSimulator Support, Build tools improvements (incl. VS 2015 for Windows), parity with LL 3.8.2 code base; support for up to 2 gigabytes of texture memory – release notes. Firestorm updated to version 4.7.3.47323 on August 18th – core updates: parity with LL 3.8.2 code base; VVM support; attachment fixes; Experiences support; Layer Limits and much more – release notes – review notes. The following notes are primarily taken from the TPV Developer (TPVD) meeting held on Friday, August 21st, 2015. A video of the meeting is included at the end of this report, with any time stamps in the following text referring to it. My thanks as always to North for the recording and providing it for embedding. There was a single server maintenance package deployed during the week, which was delivered to the BlueSteel RC on Wednesday, August 19th. This was intended to provide fixes for items and folders getting mixed up. however, this was subsequently rolled back on Thursday, August 20th. On Friday, August 21st, the long-awaited Avatar Complexity / graphics presets viewer arrived in project viewer form. Version 3.8.4.304433 is being referred to as “Project Quick Graphics”. I provided an initial look at this viewer in pre-release, but I now have an updated overview available. As noted in that report, the Avatar Complexity default you get is based on the rendering performance of your system. however, this might be adjusted by the Lab during the time the viewer is available at a project status. [02:00] An update to the Oculus Rift viewer is still anticipated, although this has tended to be pre-empted by other things, and may be again. There have been no other viewer updates since the promotion of the Maintenance viewer on Tuesday, August 18th, as reported in part 1 of this update. [23:35] The will, at some point be an experimental viewer build, which should lead to a project viewer in the future, using the FMod Studio for audio. [08;00] Rider Linden has been engaged in further HTTP work, specifically aimed at the viewer with the intent of reducing the paradigms for how HTTP should be used within the viewer from 4 to a single, consistent approach. He has most recently been engaged in aligning recent HTTP updates made to the viewer with his own work. [19:36] The Lab is still looking for move more asset types from delivery using UDP via the simulator to delivery using HTTP via the CDN, but this is pending the completion of Rider’s HTTP work. Overall, the view is that there is no reason why any asset that goes to the viewer should be cached and delivered via the CDN. [10:48] The lab is continuing to investigate causes of inventory issues with the intention of reducing them. In particular, they are considering server-side enforcement on how inventory should be organised. The idea is not to prevent how people organise their inventories, but rather to ensure things that simply should not happen under normal use, but which have been shown to lead to inventory losses when they do occur, are no longer possible. Examples of this include a user’s inventory gaining more than one Trash folder, or the system allowing folders to be created without an associated system ID, and so on. The most effective way of achieving this is through server-side rules enforcement. While the Lab is not ready to start implementing such changes as yet – they are still investigating, as noted – these changes are part of an overall goal to migrate all inventory operations over to AIS (Advanced Inventory System) and then to deprecate older inventory code – all of which will involve changes to the viewer. This means that as this work progresses, viewers not supporting the AIS v3 code will no longer be able to perform inventory operations. There’s nothing wrong with also checking in the viewer, but if it’s not the model we expect to be true of the world, there should be validation on the server because we have a lot of third-party viewers … So we really can’t count on the viewer to get it right, there are too many of them. And if nothing else, some things that can cause crashes that might be deliberately put into viewers … that might cause crashes in other people’s’ viewers, and that’s not good. So we have to try to protect against that. The best place to put that protection, if we can do it, is to put it one the server-side, if we can do it. So there are lots of things that, over time, we may add checking of things, as they are uploaded, on the server, and we may reject uploaded things, and we may reject uploaded things that are inappropriate. How quickly we will be able to do that will probably vary with what the upload type is and what time we have between doing dazzling new features; but if we find something related to some dazzling new feature we can add some checks to, we might do that. With Holmes apparently lost in a fall from a path above the Reichenbach Falls, Caledonia, Corwyn and Kayden take a break from Baker Street, and Sunday’s events move to Magicland’s 100-acre wood, where Caledonia is hosting a very special Pooh Bear pyjama party! So get your jammies on, grab your nightcap and a jar of honey and head on over! Gyro Muggins follows the adventures of some brave souls canoeing in Minnesota circa 1942. Corwyn Allen continues to read AA Milne’s 1919 collection of humorous essays. 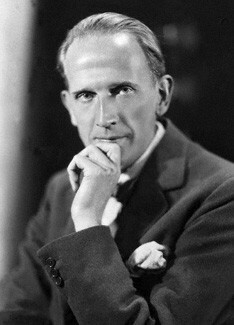 Best known for his tales of Wnnie the Pooh, Christopher Robin and the 100 acre Wood, Milne in fact wrote widely in bother fiction and non-fiction. With considerations ranging from why a gentleman’s collar might squeak, or the fact that Isaiah most certainly didn’t carry a notebook, with assorted thoughts on goldfish and daffodils along the way, this is a book of essays wide-range in topic and content. Some of it may, nigh-on a century since the essays first appeared in this book, appear dated and as solidly dated and trapped forever in the opening decades of the 20th century. Other are perhaps as relevant today in their insights and commentary as they were when freshly written. All of them come with Milne’s familiar humour and jovial observations. Caledonia Skytower opens the pages of Jeanne Birdsall’s 2014 volume about the Penderwick family, the second in the series. 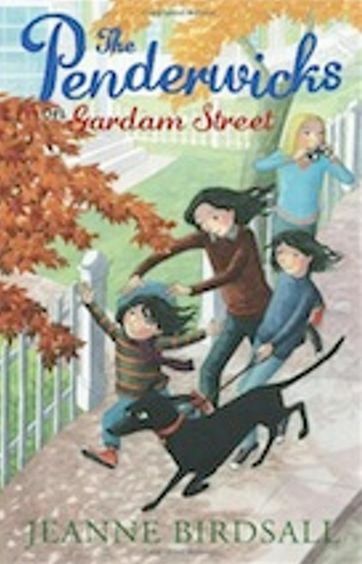 When the four Penderwick sisters learn that, encouraged by his sister-in-law and the wishes of their late mother, their father is going to start meeting other women, they fear the worst, and so enact the Save Daddy Plan. They set their Dad up with dates he won’t get on with, while he, also not overly convinced of things, goes out on pretend dates. However, things start to change as the sisters meet and get to know Ben from next door, and his mum, Iantha. Added to the mix the adventures and challenges each of the four sisters face, and it turns out to be quite a series of events and changes for the Penderwicks – one of them very much turning out for the best. 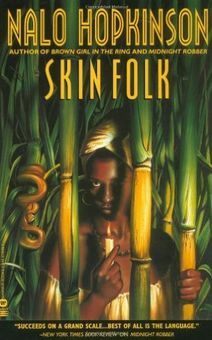 Shandon Loring reads from Nalo Hopkinson’s 2001 collection of 15 short stories connected by a central theme of skin-shedding.with a distinctly Caribbean flavour, these are stories where nothing is quite as a it seems and illusion rules the perception. Starting with a delightful twist on the classic tale of Little Red Riding Hood, these stories carry the reader and listener through this world of illusion and magical change, with often surprising conclusions being reach in a hot and spicy style in what can only be described as a meeting of science-fiction and folklore. Join Shandon and Caledonia in the story of a man sentenced to solitary confinement on a distant asteroid for 50 years, his only visitors the crew of his resupply ship, who visit four times a year – but only for 20 minutes. To try to make the man’s life a little easier, the captain of the ship delivers a feminine robot to help keep him company. Then the news comes that the man has been pardoned and he can return to Earth – but only at a price.